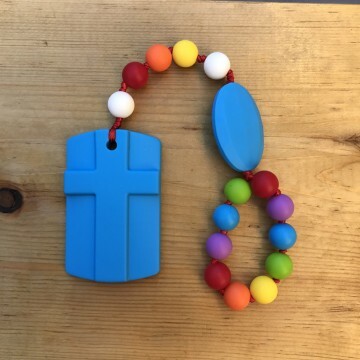 For your consideration is a First Holy Communion Rosary. The center and Crucifix are imported from Italy. 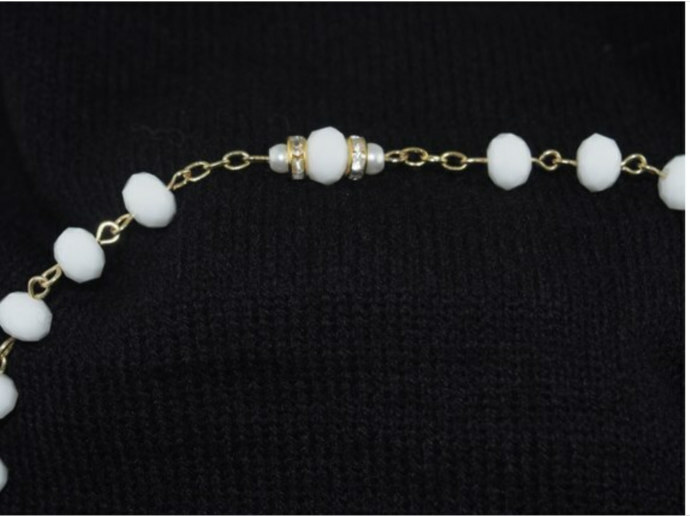 * Handcrafted white milk glass beads that are embraced with two gold rondelles that have tiny diamond crystals and are capped with a delicate pearl on both sides are used for the Our Father Beads. 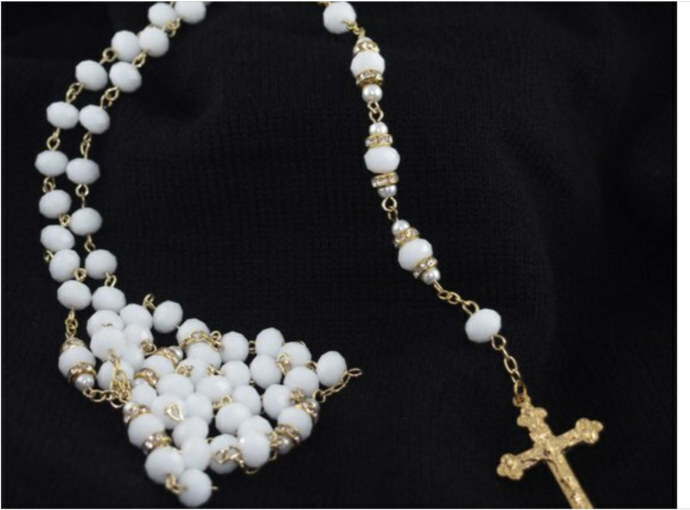 * The Hail Mary Beads are all white milk glass beads. 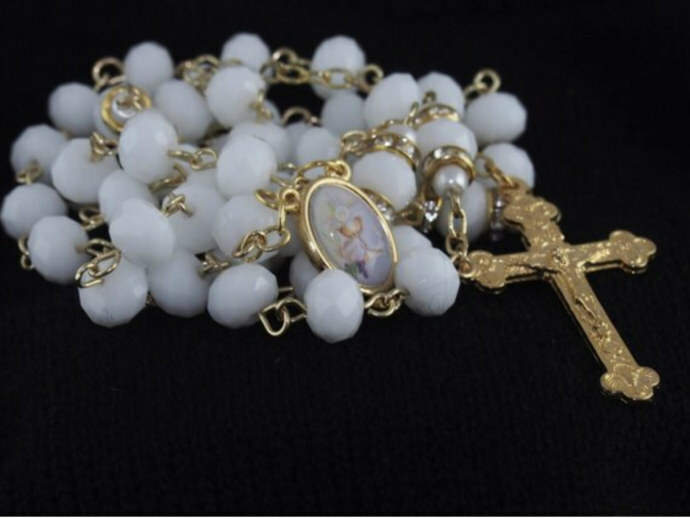 * The center of the Rosary is appropriate for yours or your loved ones First Holy Communion. There is a Chalice with the Holy Eucharist. 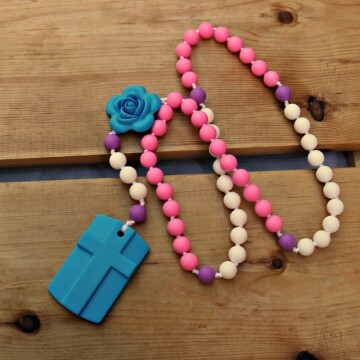 * This Rosary is appropriate for either male or female. 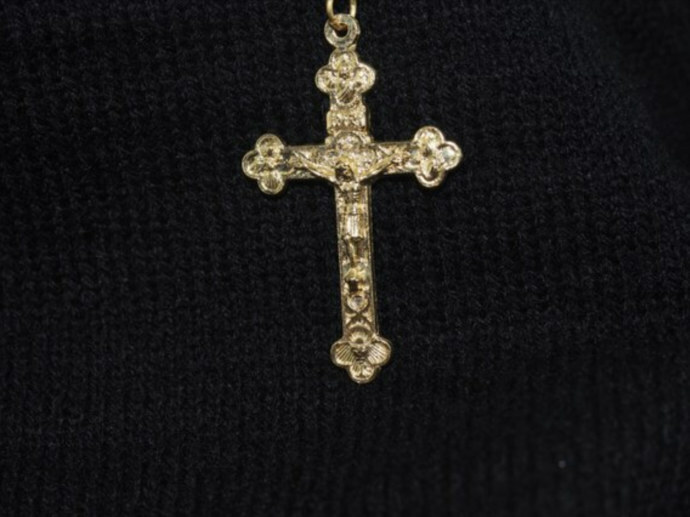 * The length of the Rosary is 23 inches. 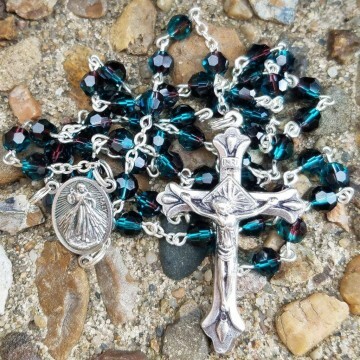 ~ Your Rosary will be gift-boxed. All my work has a lifetime warranty. 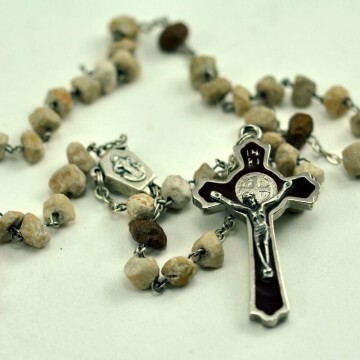 If anything should happen to your Rosary, it will be repaired, free of charge; you cover the shipping to me and I will ship it back to you, no charge.